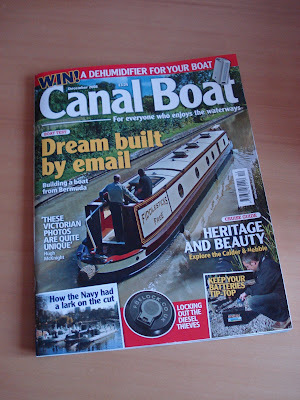 The December issue of Canal Boat is out, and contains my review of Fiddlesticks Free, by Cauldon Boat Builders based in Stoke on Trent. This was a quality boat, full of good ideas. And it was a lovely sunny day, in spite of a downpour just before we started.